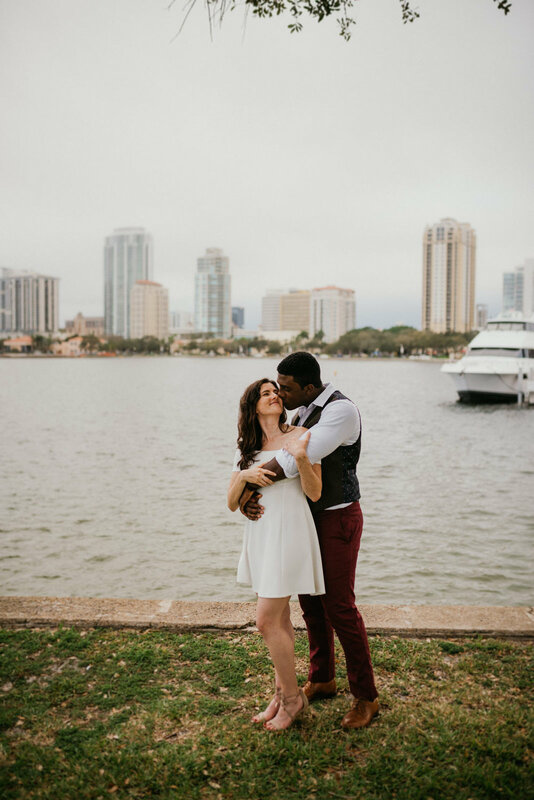 But as our afternoon with them progressed, we found ourselves not-so-secretly hoping that they would consider grabbing a coffee with us after their session to chat wedding details. 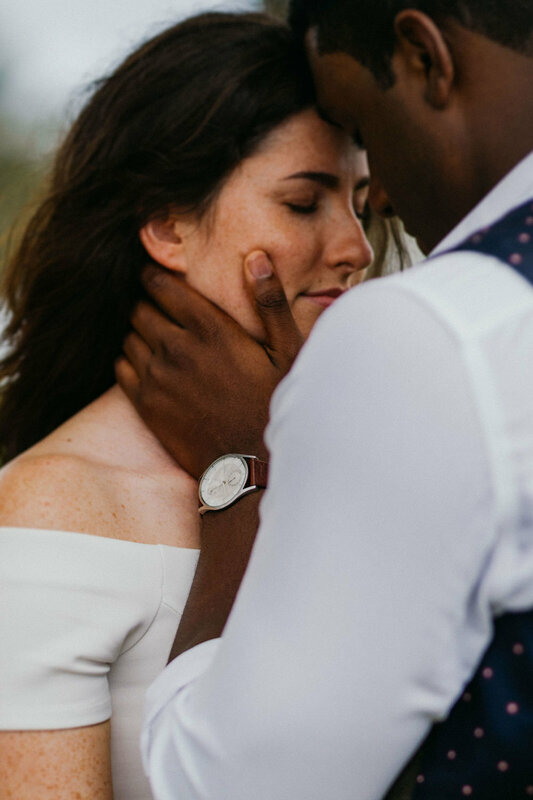 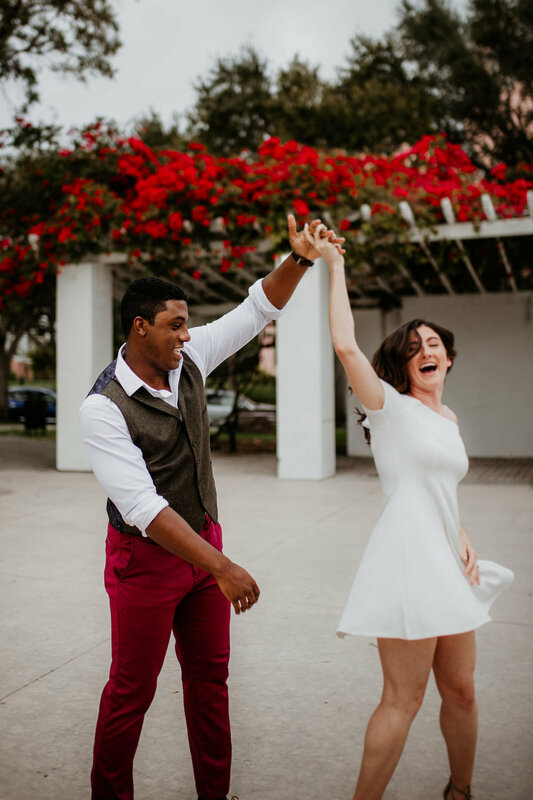 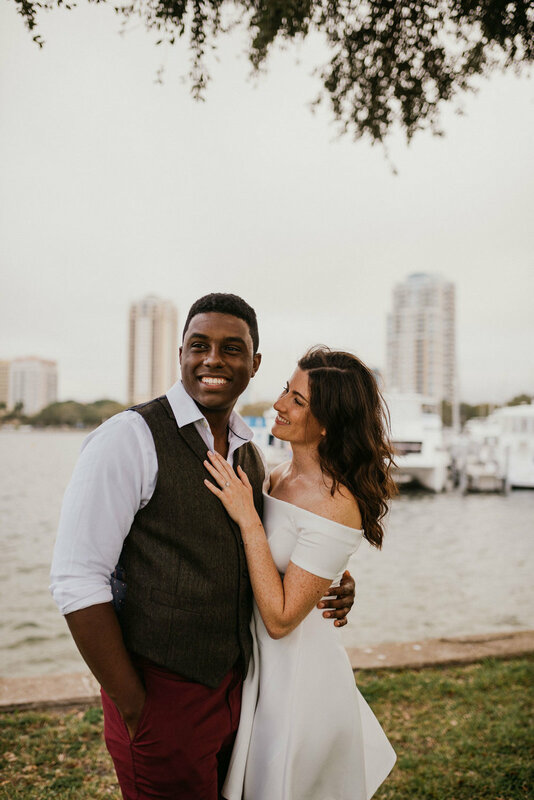 Emily and Kalen rocked a clean and classic date night wardrobe for their first look and created the perfect dreamy vibe as they cuddled beneath the banyan trees and showed us their dance moves in front of the pink blossoms of Straub Park. 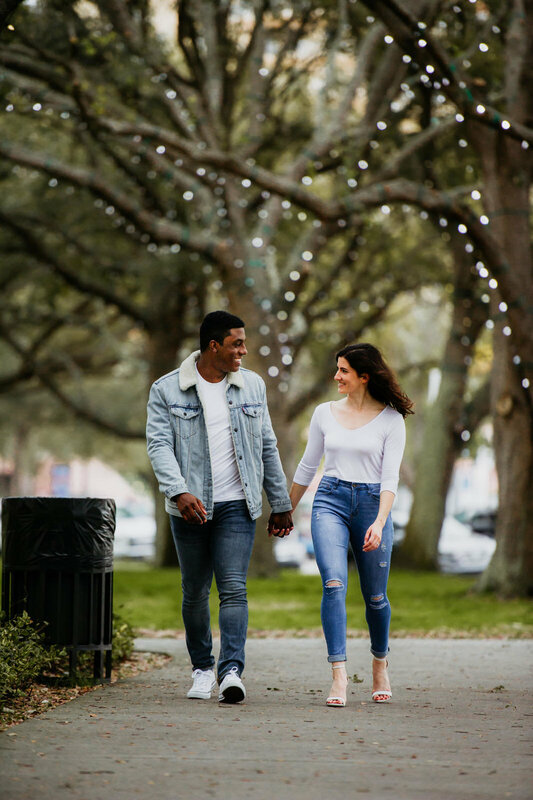 Their second look was a 90’s inspired casual-cool denim number that was ideal for some evening strolls, piggy back rides, and tree climbing. 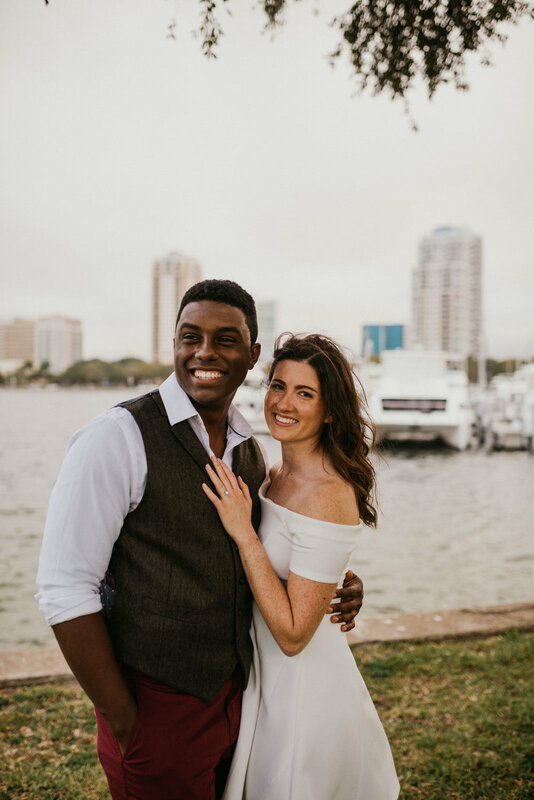 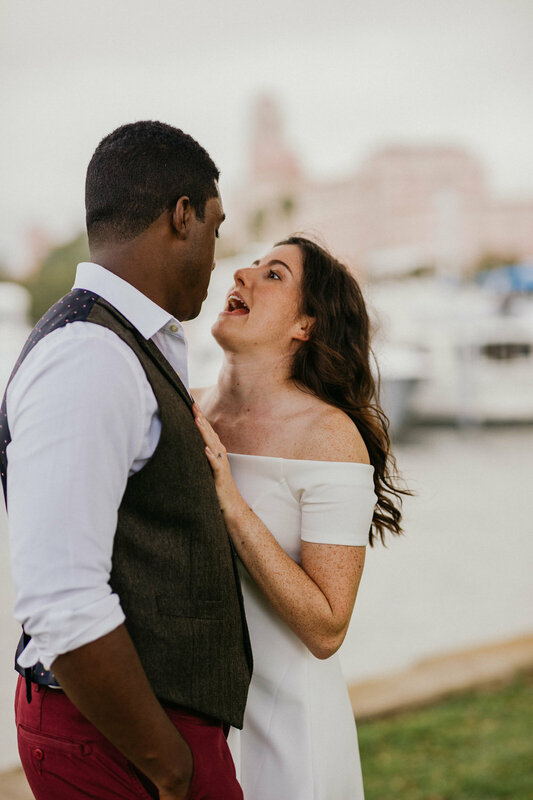 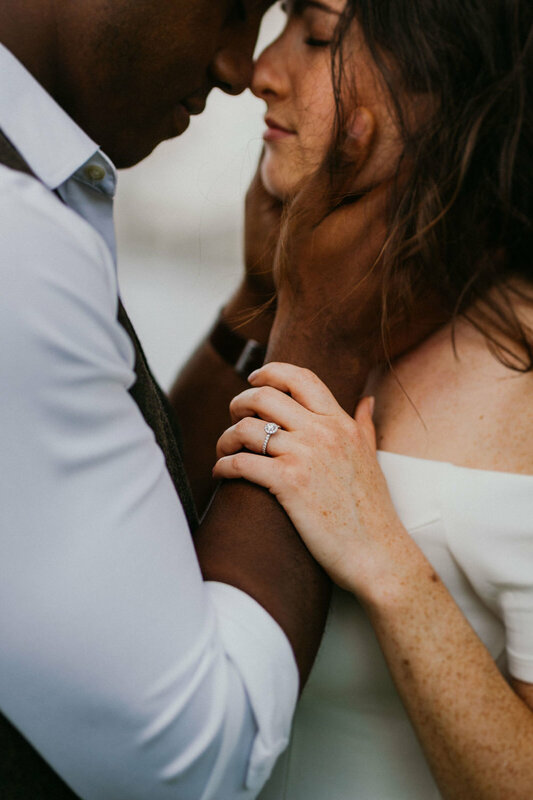 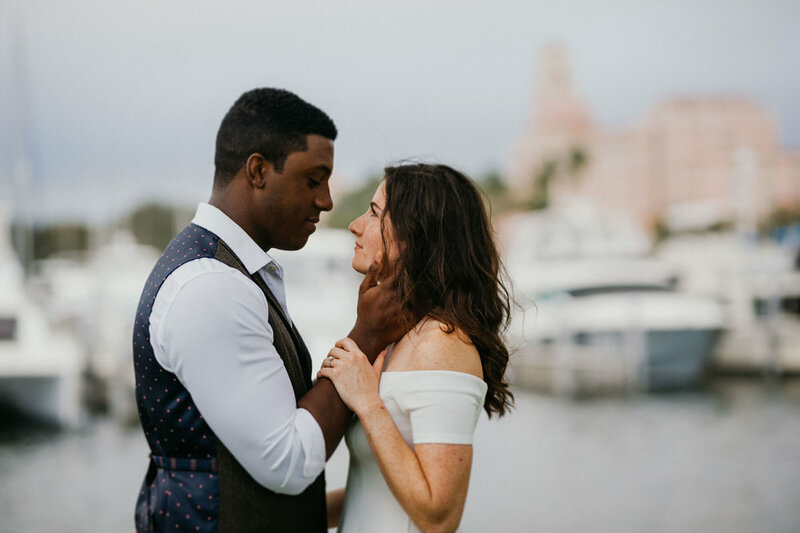 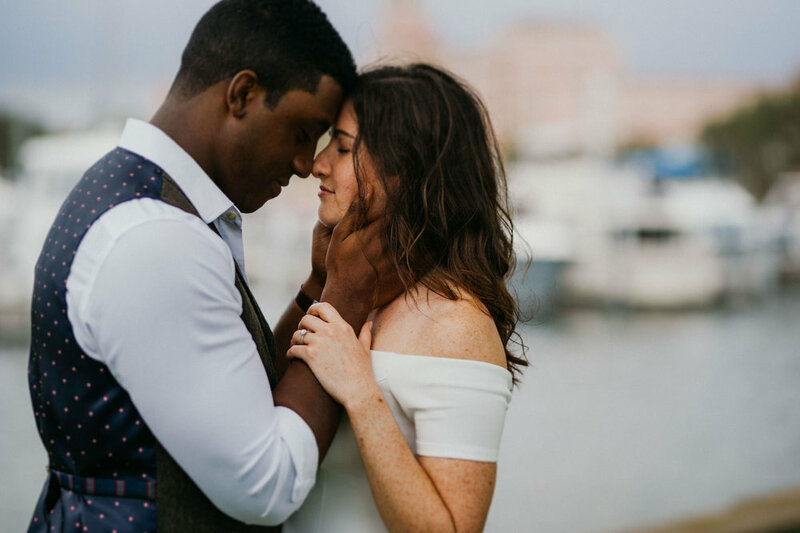 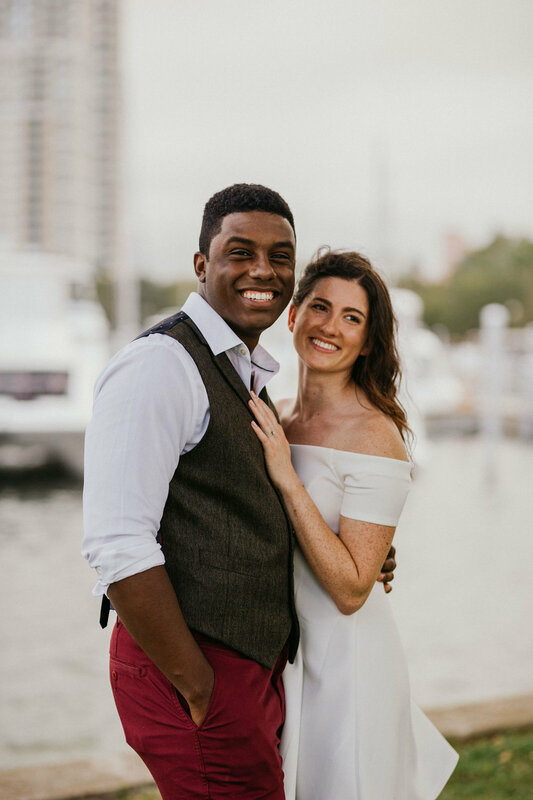 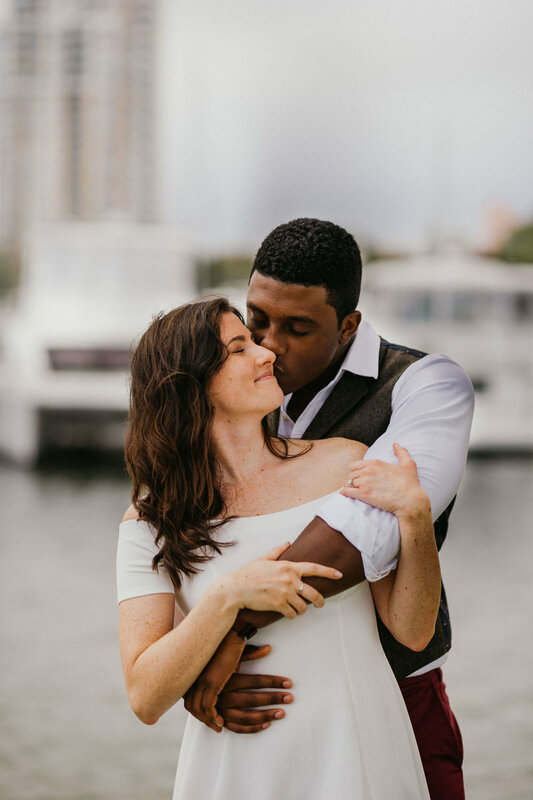 After an amazing session in our favorite city, Emily and Kalen were totally on board for our coffee date finale, and sure enough all the details for their Tampa based winter wedding were spilling out over lattes and wedding portfolios! 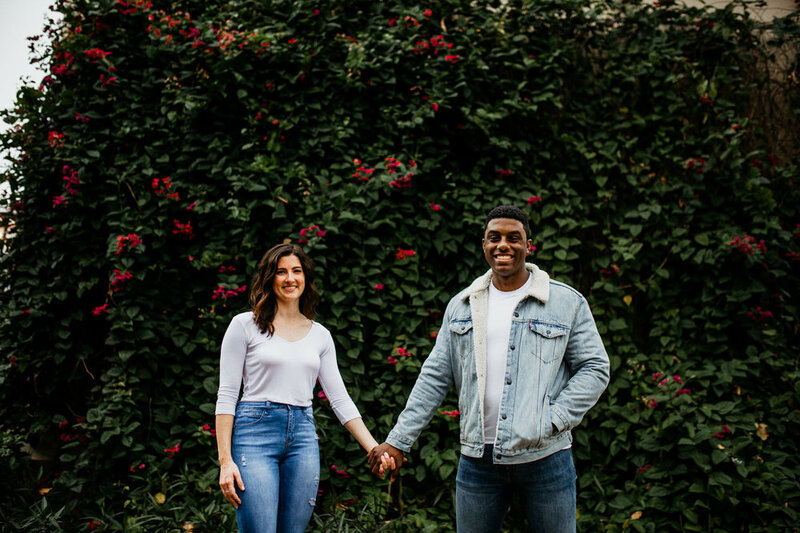 Emily and Kalen are fun, vivacious, and up for all of our crazy antics. 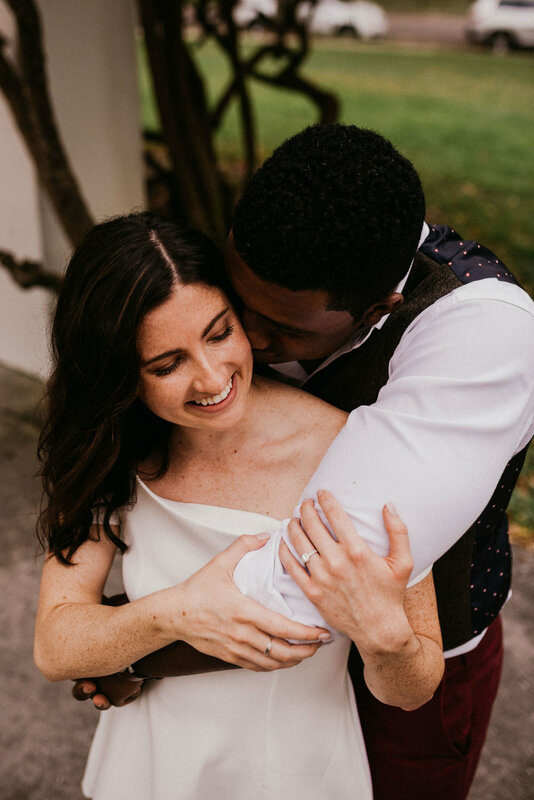 We are so happy to have added them to our family of McNeile Couples, and their wedding at Armature Works in December is sure to be a phenomenal close to the year!